Will two siblings get a spot at the same time? We will try and accommodate those that travel together and/or are from the same family to place them in the same time slot or at least in times that are back to back. We understand that logistics are paramount to busy families and will do our best to accommodate where we can. We do encourage to secure the spots you want that you book early to avoid disappointment. You can request a teacher and we will do our best to try and place your child with that teacher. It may be that you may have to be slightly flexible on your day and time if you want a certain teacher. It is also good that a child moves from teacher to teacher so that they can progress and learn through different teaching styles and have a well rounded learn to swim experience. How do I know what lesson and stage to book my child into? If you have come from another provider and you or your child are in a stage, we will look to replicate that. We will however do an assessment at the first lesson to ensure the stage they have been placed in is the most appropriate. If we feel that a lower or higher stage would be better for the swimmer, we will discuss this with the parent and make amendments for the second lesson. 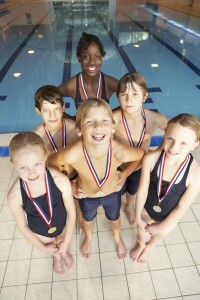 If you are unsure as to what stage your child should be in as they have not been in lessons before or they have come from a lesson programme where they don’t use the same format, then we will discuss the swimmers current ability with you on the phone at the time of booking and again place the swimmer in the most appropriate lesson based on this. At the first lesson we will do a assessment where we will move the swimmer if required. What do the swimmers get for the money we have paid? They are taught by current, fully qualified teachers in small groups. They will be taught a set of skills that will enable them to reach required outcomes and awards to progress through the academy. Everything we do at Diamond Swim Academy is based on quality and the 10 minute ‘communication time’ between lessons enables us to provide this high standard. What awards (badge and certificate) do swimmers achieve and how much are they? A child will usually be able to work towards two awards a term. One being the main stage/ duckling grade and one being a skill / distance focus to recognise additional skills gained. There are 5 duckling awards, 3 Swim A Song Awards, 3 Alpha Step awards (not all will do these), 8 Stage awards and various skills and distance awards that we offer within Diamond Swim Academy. Do I have to buy the awards (badge and certificate)? It is not essential to buy the awards. An award is made up of a badge and a certificate. 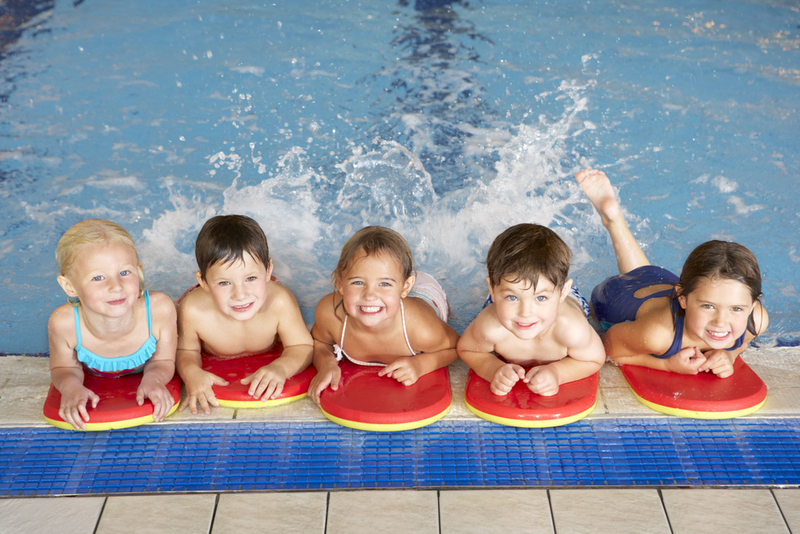 We do encourage that you purchase the awards and these are seen as landmarks within a child’s learn to swim pathway. Children are motivated by reward and fun and we see both these as essential elements to the Diamond Swim Academy pathway. What are the awards nights? These are unique nights that we offer and are not part of a swimming lesson. We believe it is important to take time to recognise achievement in Diamond Swim Academy. At these awards nights we will present the awards that a child has gained, perhaps have fancy dress themes and take part in games and activities. It is also a great chance for us all to get together outside the lessons. What does the swimmer need to bring to each lesson? A swimsuit / trunks, we encourage hats (these can be brought via Sophie or Sarah on the day or via the website), a towel, a parent / guardian and a smile! Are all the teachers qualified? All of our teachers are qualified to the highest teacher level which is recognised by the National Governing Body for Swimming – ASA Level 2. All of our teachers also have gained the National Rescue Award for Swimming Teachers and Coaches – an approved life-guarding award. All of our teachers have attended Child Protection and Safeguarding Children courses and attend regular CPD certificated workshops throughout the year. All of our teachers also receive in house training to ensure they follow and believe in the Diamond Swim Academy ethos. Please call Sarah or Sophie who can talk you through payment. We encourage this is done as early as possible as a place cannot be secured without payment. You will need to pay for your lessons when enrolment or re-enrolment is announced. Currently booking is open for the term that starts Jan 5th 2015. When do I pay for badges? We encourage payment to be made for awards once swimmers achieve them so that they can be presented to them at the awards night. When a child achieves the award they will also get a sticker for their achievement sticker book. We offer a competitive price for the service we offer. Please call Sophie or Sarah to find our more. Do you Run Crash Courses? We will run different types of courses working on different skills and these are relevant to our current and new swimmers. Please keep a eye on the timetable and news page of the website for the latest courses available.